Too many followers of the Standard American Diet (SAD) believe that diet only affects things like weight, diabetes and heart disease. The connection between diet and things like cancer or Alzheimer’s still hasn’t sunk in. So, when new research shows just how deadly diseases like cancer can be prevented with simple foods like broccoli, we have to do our part to get the word out. Although certainly not the first study to link cancer with cruciferous vegetables, researchers with the Linus Pauling Institute at Oregon State University have given us yet another reason to eat our veggies at every chance. According to their findings, a key component in broccoli, cabbage, and other crucifers has multiple benefits in the fight against cancer. Their research was published in the journal Clinical Epigenetics, which features the latest science in how foods and environmental factors can change gene expression or activation, ultimately leading to disease or disease prevention. Looking at the compound sulforaphane, the scientists found that it can work to not only suppress tumor growth, but also stop the spread or onset of cancer. Sulforaphane is known as an HDAC inhibitor, meaning it works to restore balance in the enzymes known as histone deacetylases (HDACs). HDAC imbalance is known to interfere with the normal function of tumor suppressing genes. By inhibiting HDACs, sulforaphane helps prevent cancer development. In addition, it works to influence something known as DNA methylation, which is the normal process of turning off or deactivating genes that could lead to abnormal cell growth. In the case of cancer, however, DNA methylation doesn’t always work as intended. As with HDAC, however, sulforaphane is able to restore balance and correct the DNA methylation processes. Though this research is exciting alone, it is far from the first linking the super-powered sulforaphane with cancer prevention. A recent study from Baylor College of Medicine, for instance, found sulforaphane can actually kill the cells of acute lymphoblastic leukemia, a blood cancer common in children. Other studies have linked this compound with protecting against both prostate and breast cancer. 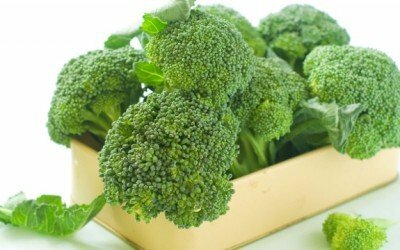 While sulforaphane is present in all cruciferous vegetables, it is perhaps most concentrated in broccoli. So, grow some or buy some at your local farmer’s market—but, definitely increase your consumption of the nutritious “little trees”. What about GMO Brocc.? We need labels now in the USA !! Generally, I would tend to agree however everything I buy already is labeled organic/gmo-free. And the people who buy GMO or non-organic generally don’t give a hoot. I suppose that the researchers tried with raw broccoli and not cooked broccoli. You can use broccoli in so many dishes! Eat it. [ Smiles ] Broccoli is one of my favourite vegetables. Thanks for the information, Elizabeth. It was known that broccoli slows cancer growth. This is othing new but still it is good to see another proof. Bad eating habits are reasons for most diseases directly or indirectly.